“We are disappointed that the Government has yet again ignored immediate easily implemented air quality solutions in favour of more distant or punitive measures. “We agree with the Chancellor that we owe it to our children to clean up the air they breathe. But we also owe that to the existing population, and the time for meaningful action is now, not in the distant future. Transport emissions are the worst culprit when it comes to air quality, yet the Government continues to look decades down the line, side-stepping solutions that could be implemented quickly, cheaply and with significant immediate impact. “The fight to lower transport emissions should begin with the introduction of E10, a bioethanol blended greener fuel containing 5% less fossil fuel. E10 would lower pollutants emitted from vehicles and deliver carbon emission savings equivalent to removing 700,000 cars from the UK’s roads. Crucially this would also provide a much needed boost for the struggling British bioethanol industry which supports thousands of jobs in the North of England and offers a ready domestic market to British farmers at a time of international trading uncertainty. “Sales figures show that motorists are migrating towards petrol vehicles, including petrol hybrids, so this is an area that needs decarbonising immediately, yet the budget directs none of its transport investment into this area. 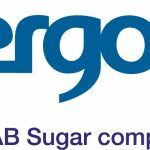 “For many years, Vivergo Fuels and the wider industry have voiced concerns about the Government’s lack of genuine commitment to reduce transport emissions in the UK. The Budget announcement cements these concerns, delivering a further blow to the industry and in direct conflict with the Modern Industrial Strategy and Northern Powerhouse initiative, of which we are proud partners.